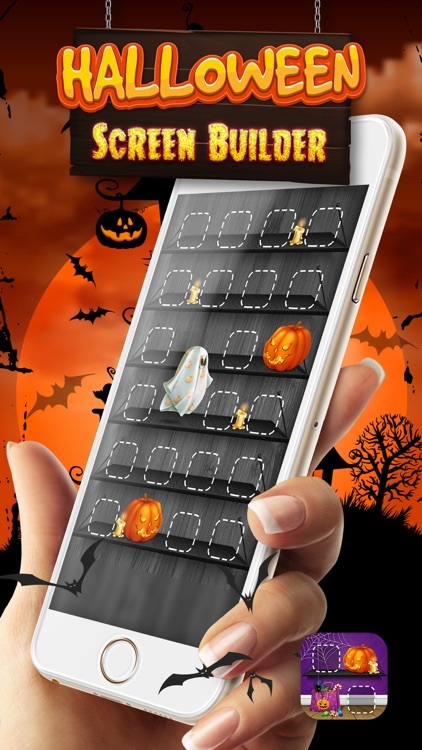 Customize your home screen and arrange icons the way you like it the most with awesome Halloween Screen Builder. This is the best wallpaper organizer with creative shelves designs that look incredible! 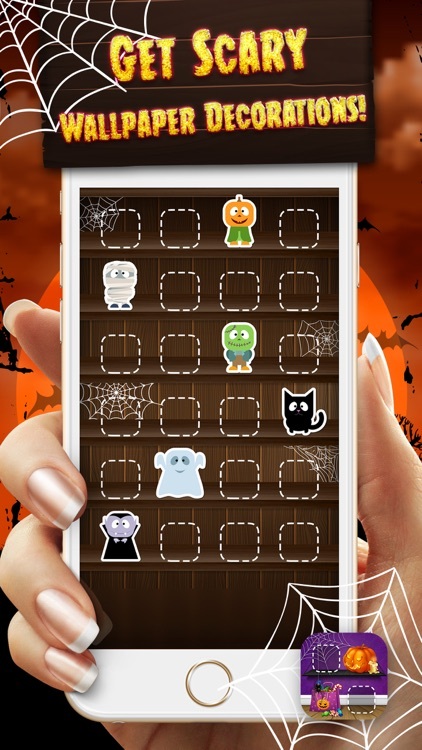 Check out these scary themes and creepy stickers that you can put on your screen. 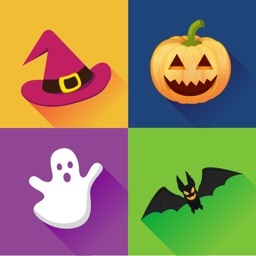 Pumpkins, bats, witch's hat, spider webs...it's all here! 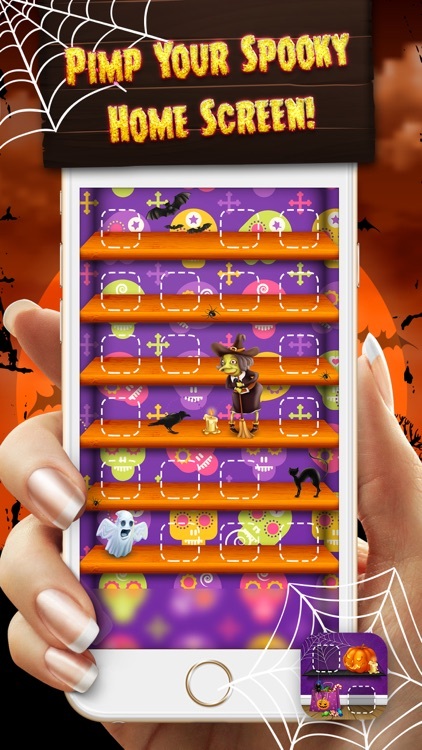 And it's up to you to decorate your iPhone screen in the spookiest way! - Wide collection of HD background wallpapers. - Easy-to-use app interface for both iPhone and iPad. 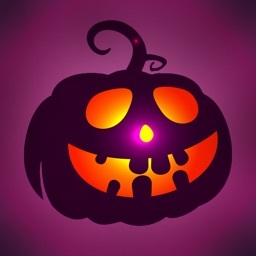 - Browse though app gallery quickly and choose your favorite Halloween theme. - Multiple shelf and frame designs to personalize your home screen. - Cute stickers for ultimate decoration. - Amazing 3D themes with vivid colors. 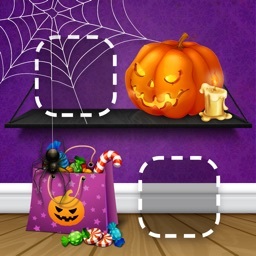 - Save your background images to Photo Gallery. - Share with your friends on social networks; Facebook, Twitter and Instagram. 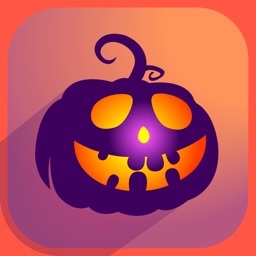 Use the best Halloween Screen Builder to organize your icons and make your home screen look incredibly creepy. Set the shelf design you like the most and then further decorate it with awesome stickers. There are so many options! 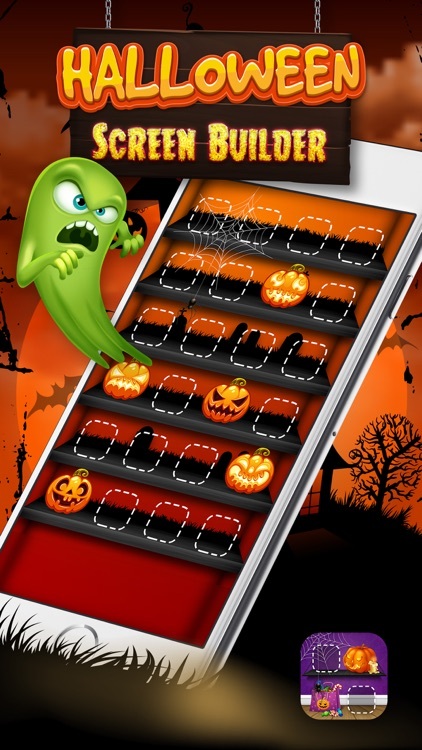 Jack O'Lantern, wicked witches, spider webs and scary bats are all here to make your screen look terrifying! 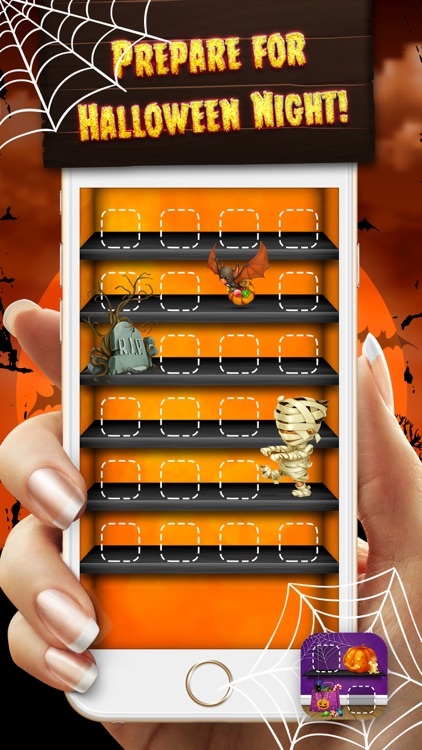 Don't hesitate to download this Halloween Screen Builder that is perfect for everyone who enjoy this fun holiday! 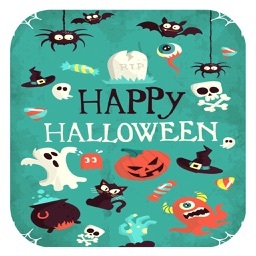 It's time for trick-or-treating, so go on and prepare for the scariest time of the year right now, for free!